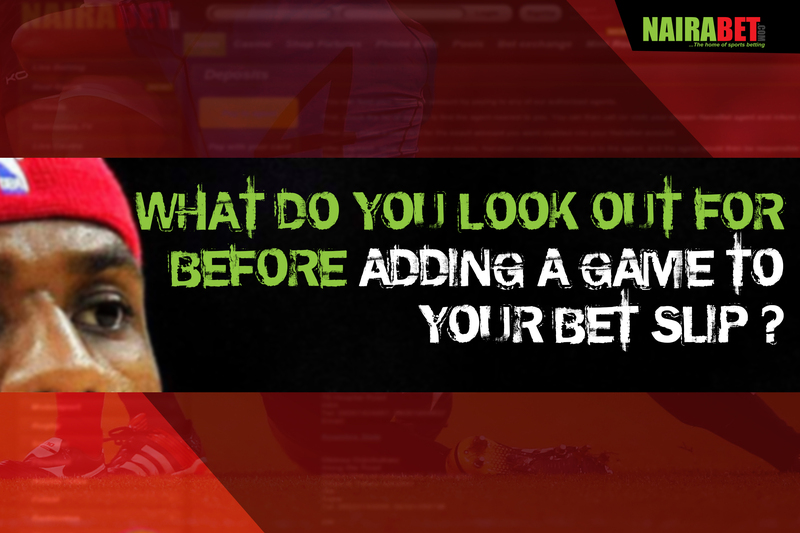 What Do You Look Out for Before Adding a Game to Your Bet Slip? When asked, so many people have different reasons they watch the sports they love. Football fans have their reasons. Basketball fans and fans of that sport called cricket also have their different reasons. Most times, although these reasons differ, they all originate from one thing: the love for sports. It is this love that makes different people become fans of different teams or clubs. This love can also be connected to why folks place their wager on certain teams. Since the invention of sports, man has been known to, for one reason or the other choose sides to put his money on. But over time, so many factors have affected how we pick games for our bet slip. If you’re reading this article, which of these determine what your bet slip looks like? So much has been said about a man who is in love. And for some, this same love is the sole determining factor that helps them to decide what teams to place their money on. For some, being a fan of a certain team is reason enough to place their money on that team. Whether that team is playing at home or away, they will make sure that that team is part of their bet slip. The love of a certain league is also another huge factor that helps people determine which team to put their money on. For some, the love for the Premier League is reason enough to place their bets on games in the Premier League rather than place bets on the Brazilian Serie A or the Italian Serie A (Yes, they are two different Serie A’s – just in case you were wondering). Love for a certain sports betting website also plays its own role. 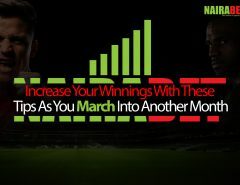 Click here to open a NairaBET account and begin to enjoy – and fall in love with – our amazing odds and the exciting features. Manchester United have only lost once this season. Will their second loss of the season come in their game against Tottenham this weekend? If you’re attracted to ads like the one above, there’s a huge possibility that you place your bets based on trends. Those who fall into this category usually look up stats, numbers, records, and base their betting decisions on which team is currently on a hot streak and which one is having a bad run of form. There are some others who simply select games for their bet slips randomly. They don’t follow trends and they usually don’t pick games because they love one club or another. They simply look through the available games and make their choices for their bet slip. We tend to put our money where our mouth is out of love or passion or just sheer belief in the abilities of one side or one player. Of all the points listed above, which one influences your betting decisions the most? 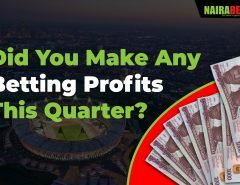 Did You Make Any Profit from Betting This Quarter? 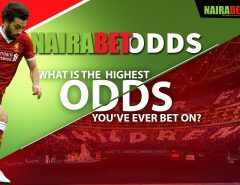 NairaBET Odds: What’s the Highest Odds You’ve Ever Bet On?